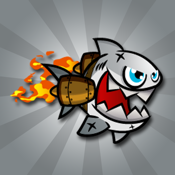 Tap to Control The Jetpack Shark. Avoid hitting the pipes! Collect the coins. But don’t you forget to look out for enemies and obstacles!